I love chocolate ever since and I have a few that I stick to it. I love to eat a chocolate that isn’t too sweet and has a nut on it. The first time I tried Lindt I was really addicted not just because it is too delicious it is also not too sweet. I remembered I got freebies of it and redeemed it in our local store, and then I enjoyed the good taste of Chocolate. 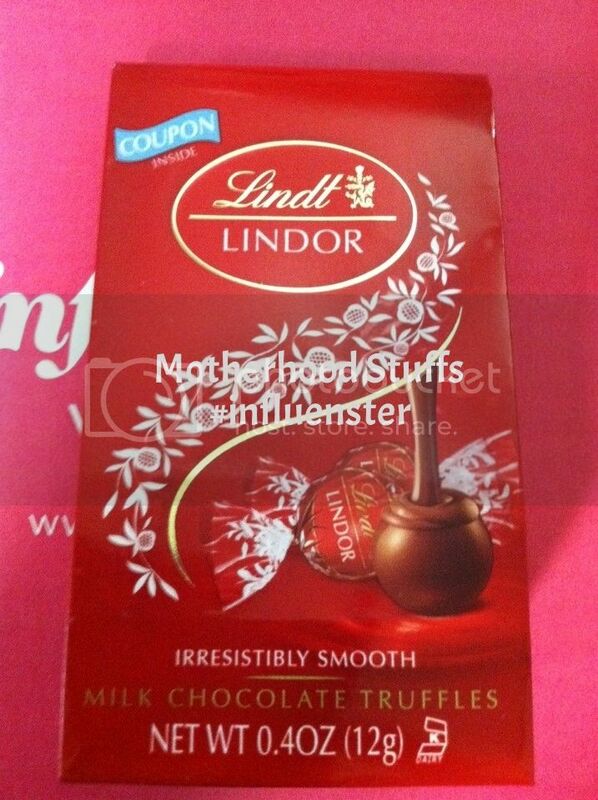 I received one free sample from Influenster, which gives me a chance to enjoy Lindt chocolate again. I also like lindt because of the different taste it have over the usual chocolates. I am not a chocolate lover but I like munching on some with nu-ts in it too. I have a sweet tooth so chocolates, cakes, cookies and all sweets are my best friends ha ha. How did you get this? I mean they just send this to you or did you join some giveaways tru them?